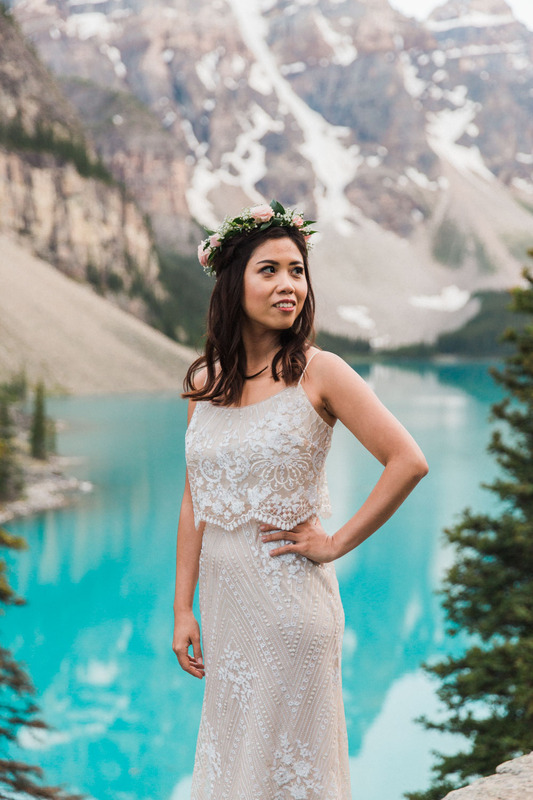 This gorgeous lady moved from Signapore to work in Toronto for a year. On her way out of the country to head back home, she decided to see some more of the beauty that Canada has to offer. 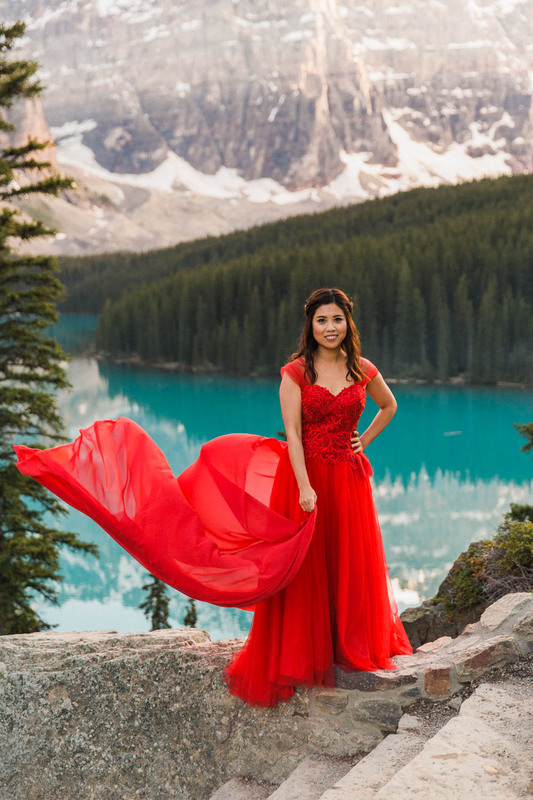 When booking her stay in the Rockies, she knew she had to have photos done while she was here, and that's how I had the chance to meet her and spend an evening showing her around Moraine Lake and photographing her in her beautiful gowns. It looks like a fairy tale doesn't it? Taking photos of one person at a time isn't very common for me, but I love the creativity it entails, and hope to do more solo shoots. Props to this incredible woman who kept working it until we got the exact images she wanted. Epic doesn't always mean effortless, but I'm glad we worked until we got these beauties. Keep scrolling to see her next outfit. 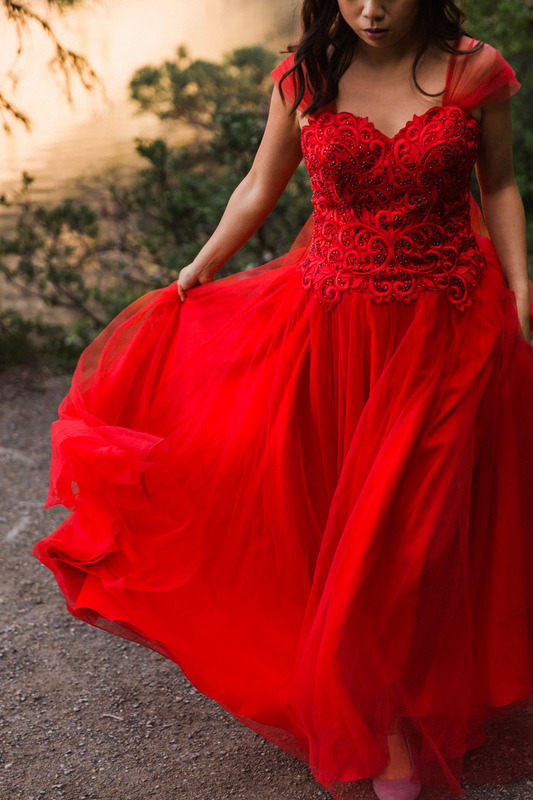 Her second dress was more understated but I think my favourite, it was so pretty, even if it meant she was mistaken for a bride more than once, haha.